This post is written in partnership with Academics’ Choice and Caramel Tree. Though I received a free download of the materials and was compensated for my time, opinions are 100% my own. As a former kindergarten teacher and current homeschooling parent, I’m often asked questions regarding early literacy skills. I hear from so many parents that when it comes to teaching their child how to read, they just don’t know where to start. Fortunately, there are many programs on the market that enable parents and teachers to supply their kids with developmentally appropriate practice and opportunities to learn literacy skills. I had the opportunity to explore and investigate the CHESS+ program from Caramel Tree. While the name of the program may initially have you thinking about pawns and rooks, the name actually stands for Children’s Holistic English Study Success. Though the program is seemingly geared towards schools, depending on price, homeschooling families or multi-family homeschooling co-ops could potentially make good use of this literacy program. The program is story-based and combines both printed and digital materials. CHESS+ is designed to help students develop their reading, writing, communication, and listening skills throughout their elementary school years. Users may like that the program goes beyond beginning skills. Where other similar programs end when a child has grasped basic reading skills, CHESS+ sees a child throughout their development. 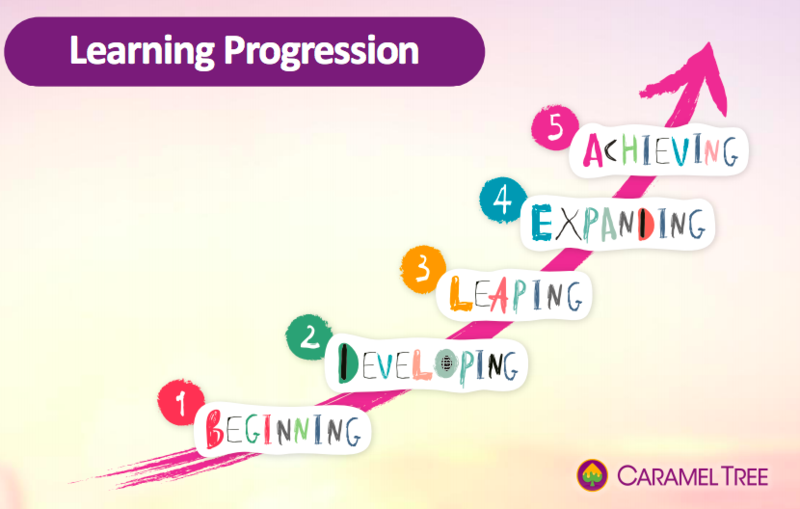 The program has 5 unique levels, which could be progressed through by grade level, or as a child finishes each level. The program does a great job clearly mapping out the goals and benchmarks for each level in reading, writing, listening, and speaking. CHESS+ is also on point with assessment, using a variety of ways to check for understanding and progress. The program is designed with easy implementation in mind. Teachers, parents, or facilitators will find everything they need from weekly lesson plans to assessments to homework assignments.CHESS+ is comprehensive, well-developed, and high-interest. I’ve found that many literacy programs offer bland resources – attempting to write stories and activities that center around a group of sounds/phonics skills rather than writing material that will hold attention and engage students. The storybooks offered in THIS program are focused and skill-driven with the added bonus of being interesting and visually appealing. Kids will enjoy the materials in the program – and as a former classroom teacher, I know how absolutely vital enjoyability is to learning. If a child is not having fun, and their attention is not held, they are far less likely to learn/retain. 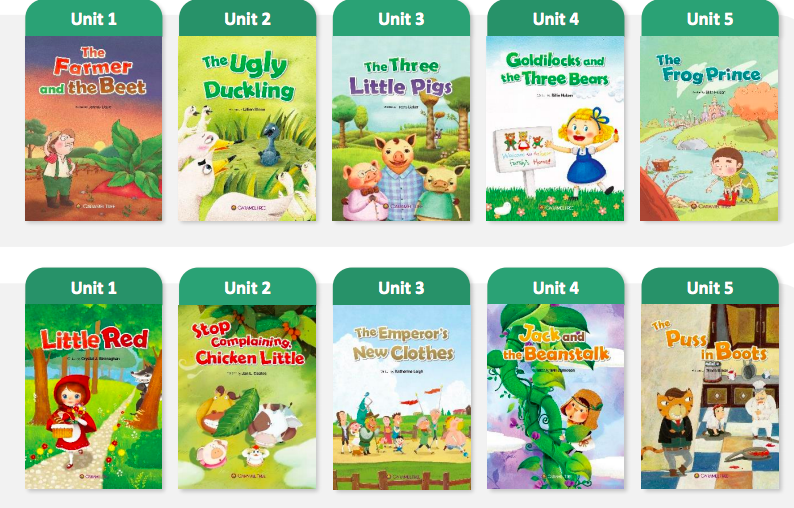 Students will dig into vocabulary-based stories in Level 1, fairy tale adaptations in Level 2, folk tales in Level 3, adventure and personal growth stories in Level 4, and mysteries and classic story adaptations in Level 5. I love both the variety of materials AND the way each level/year hones in on a specific genre. Schools and other learning institutions looking for a comprehensive literacy program may find their needs met in the CHESS+ program. *While the Caramel Tree website (http://www.carameltree.com/) does not offer any pricing information and the global retailers listed are all outside of the United States, you can contact Caramel Tree directly if you are interested in finding out more or learning how you can purchase the CHESS+ program. For information, please send inquiries to info@carameltree.com.